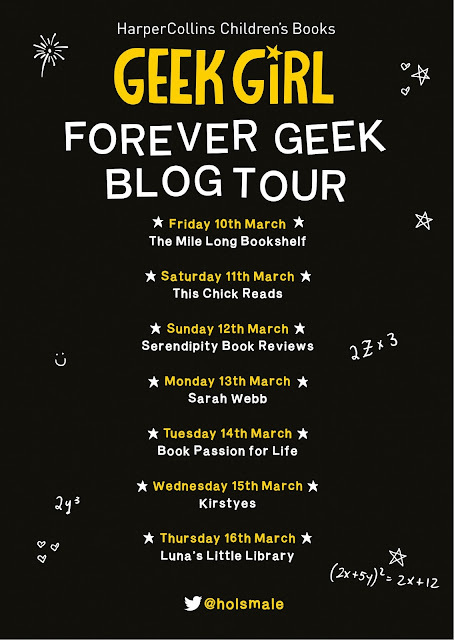 It's an honour to be part of the Geek Girl blog tour today, celebrating the final book in the series and feature this amazing post from Holly Smale. In this post, Holly talks about choosing the right locations for the Geek Girl series. Travel has always been fundamental to the Geek Girl series: both because I love it, and because it was incredibly important and poignant to show Harriet developing from a sheltered, anxious young girl - hiding in a world within her books - to a much more adventurous and brave young woman with a fascination for the real world and an ability to both handle it and explore it. I needed to show that world slowly expanding and teaching her, and I wanted to celebrate just how glorious and accessible the real world can be: to both inspire and excite my readers to travel, especially girls. While the modelling angle made that easier to do realistically, it was really the Trojan Horse that snuck travelling in: the series was far less about Harriet modelling in different countries, and much more about using the modelling to get Harriet to them. In terms of picking the locations, I wanted each book to have at least one new country: I wanted the maximum adventure possible, I wanted Harriet to have as many different experiences as she could, and I also wanted to write about the countries I’ve been to that have had the most impact on me personally. I picked Japan, for instance, because I lived there for two years and had so many hilarious anecdotes and details saved up, I was desperate to use them! There also needed to be a wide spread of different feels to the locations in order to keep each book feeling fresh and new, so I consciously picked huge cities (Paris, Tokyo, New York) and natural wonders (Mount Fuji, the Sahara Desert, the Great Barrier Reef), cold (snow in Moscow) and hot (Sydney in summer), far-flung and more exotic (India) and closer to home and more familiar (London). I also tried to avoid all the ‘obvious’ tourist traps, so instead of the Eiffel Tower and the Empire State she ends up in a swimming pool and Gotham Hall. 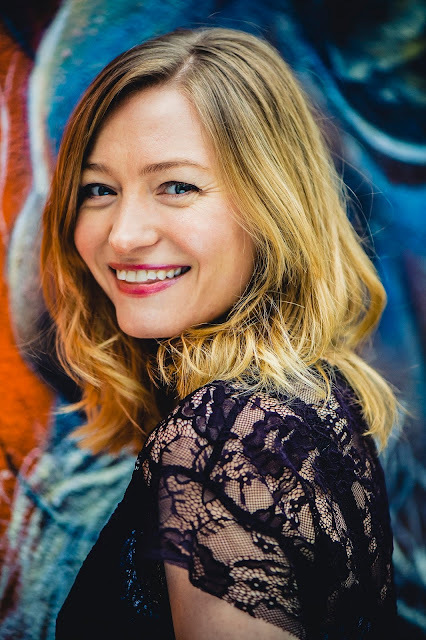 While a lot of Geek Girl is sheer fiction, I’d never write about anywhere I haven’t been: I don’t think you really know how a place sounds, or smells, or feels, until you’ve actually been there. So I used a lot of my own, real adventures in Harriet’s stories: I’ve scuba-dived in the Whitsundays, stood in the snow in Red Square, ridden a camel in the desert, been to the lake by Mount Fuji, gotten lost in New York. Occasionally I went back for “research”, but I never wrote about a location that I hadn’t visited in real life: I needed that solid base to build a realistic story on top of it. And - just like the facts Harriet uses - the locations were also thematically important. So for instance in book five she was actually supposed to go to Cambodia but I realised at the last minute that it wasn’t right for the theme of the novel: it was a book about letting go, about bright colours and black-and-white thinking, about control, about internal and external chaos, and I needed the location to express that. So at the very last minute, I looked up the date of the Holi festival in India, realised it fell at exactly the right time for the book, and knew it was exactly what I needed: I’d already been to India and the adventure would be spot on, thematically, and central to Harriet’s development. Over the course of the series, Harriet visits seven different countries and frankly I could have kept going: the world is full of so many exciting places and people and adventures. So who knows? Maybe one day I’ll go back with her. 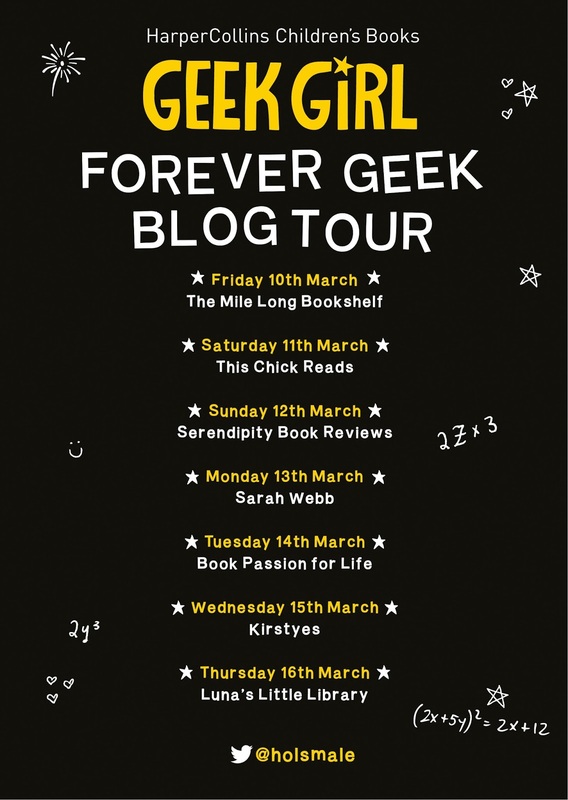 If you loved this post, then make sure you check out all the other blog posts on the tour as listed below.